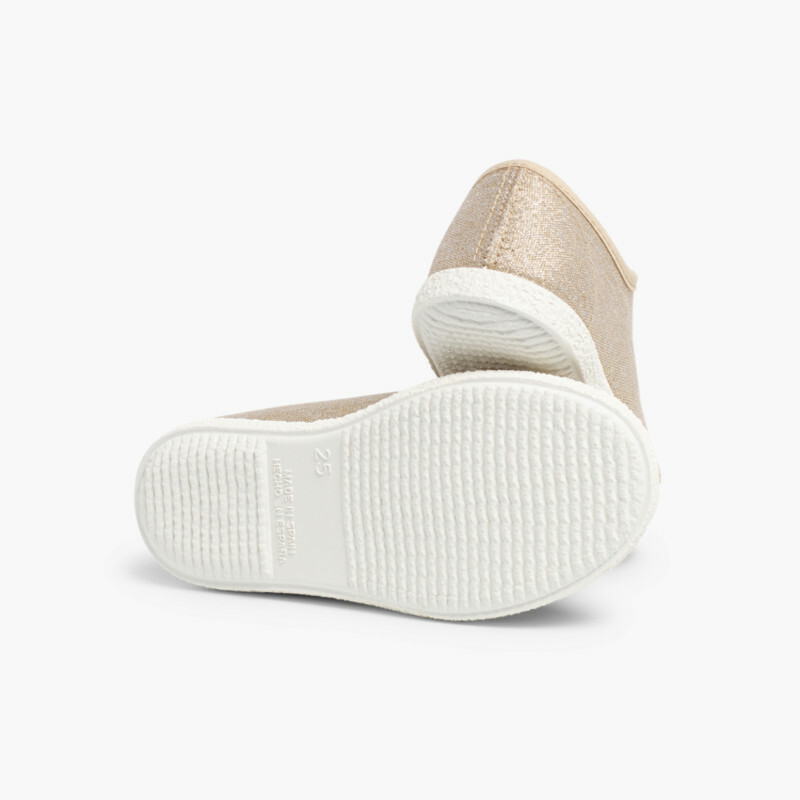 You can now find the pumps everyone is talking about on Pisamonas, canvas shoes with satin ribbons. 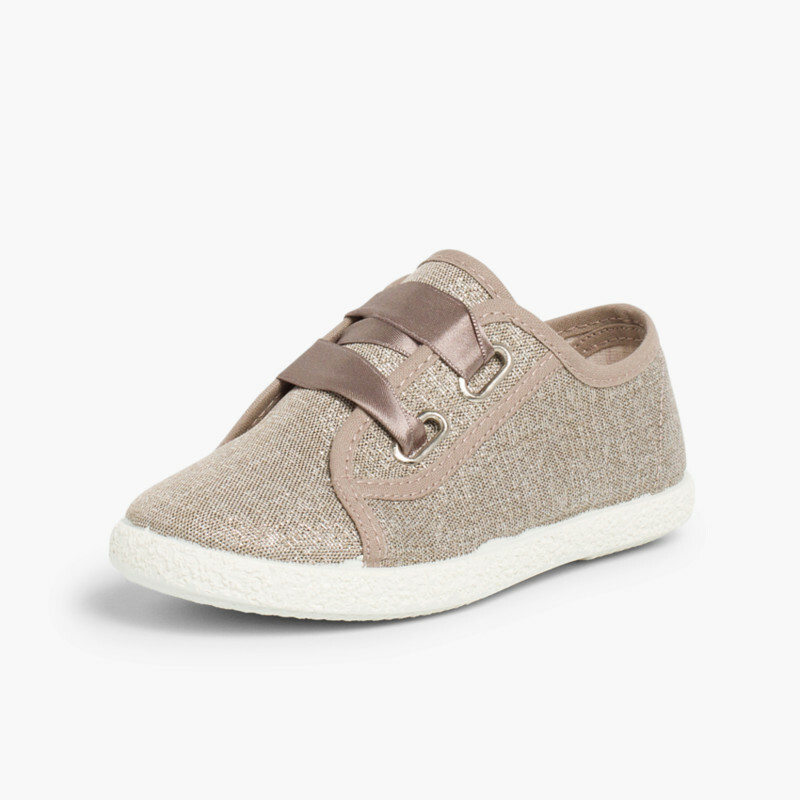 The trendiest shoes of the season, that will match your little girl’s clothes, are finally available in our online shop. 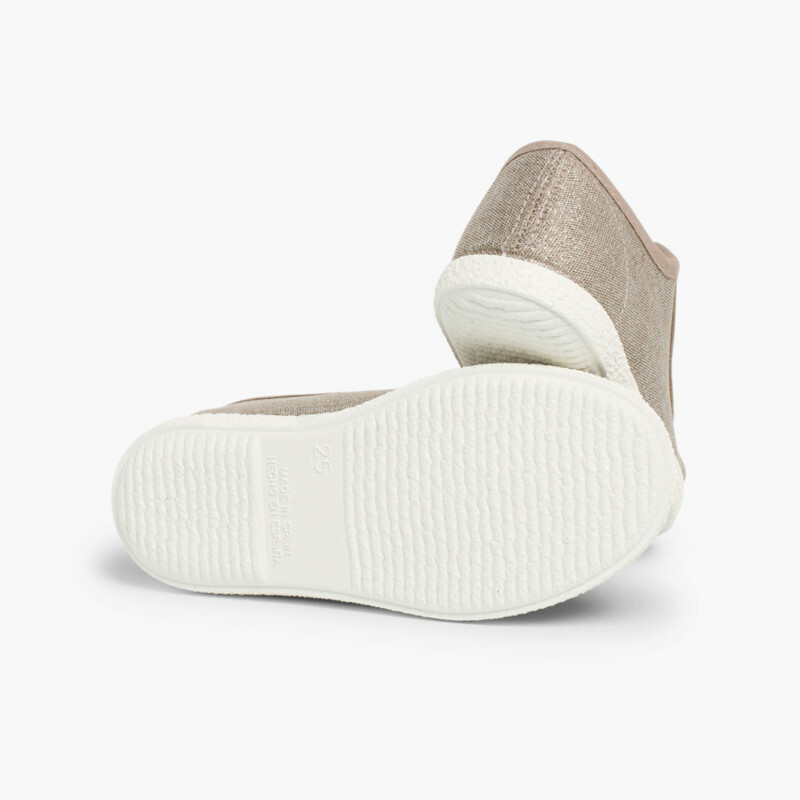 Don’t miss out on the shoe that all the fashion blogs are talking about. The biggest trend of the season has come to Pisamonas! 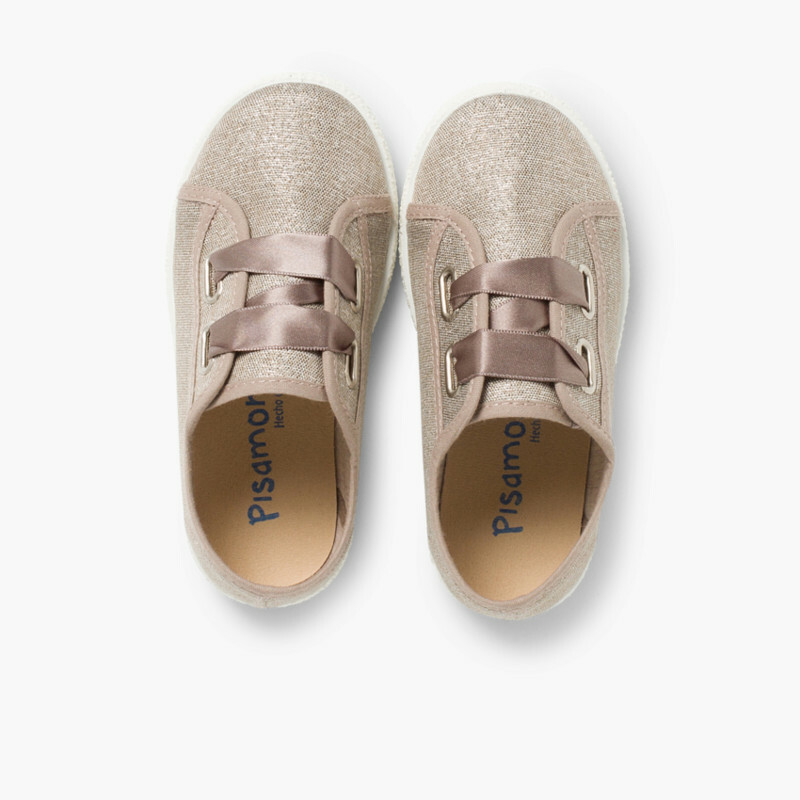 This model of canvas shoes with a special metallic finish is perfect for giving a touch of style to your little girl’s outfits. She’ll look radiant in the satin ribbons, in the same colour as the fabric. They look good with anything. 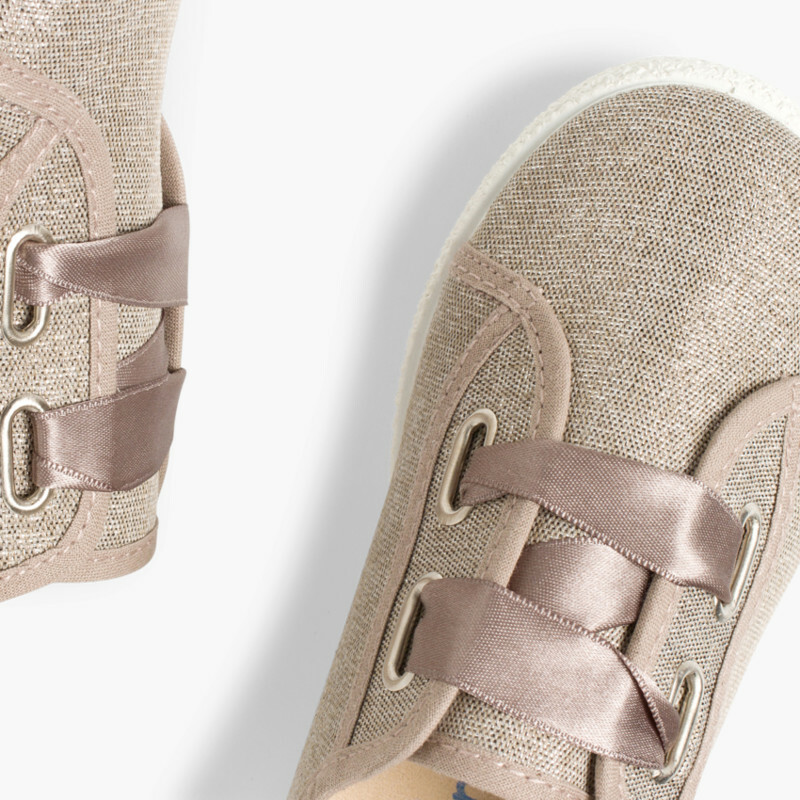 Style and comfort for your daughter’s feet! 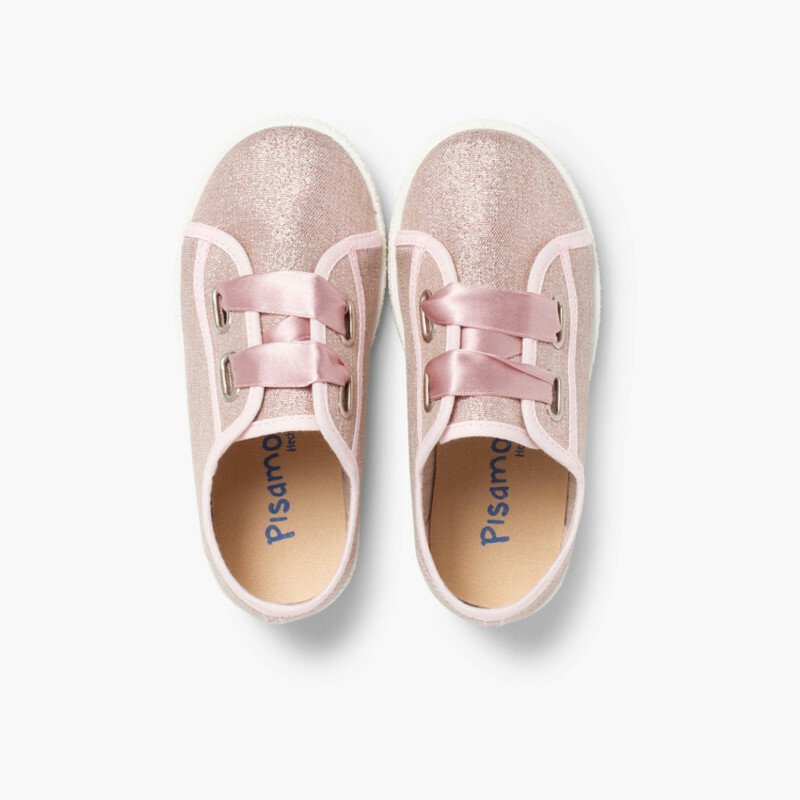 If your little princess just oozes style and walks gracefully, then you can’t let her go without these shoes with satin ribbons. They’re available in three colours which are easy to match with their clothes: gold, bronze and pink. 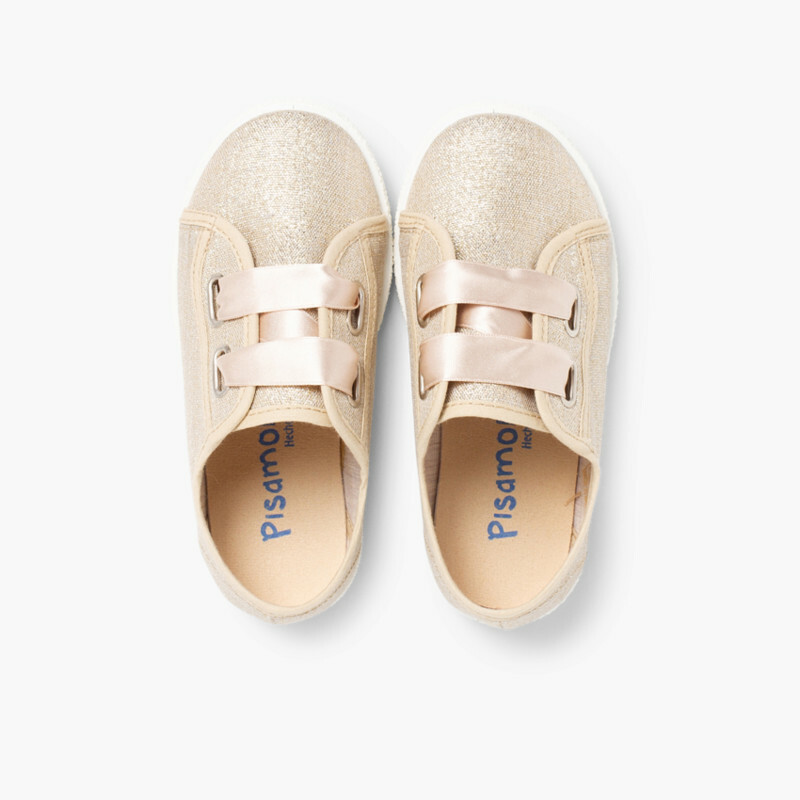 Your daughter won’t want to take them off! 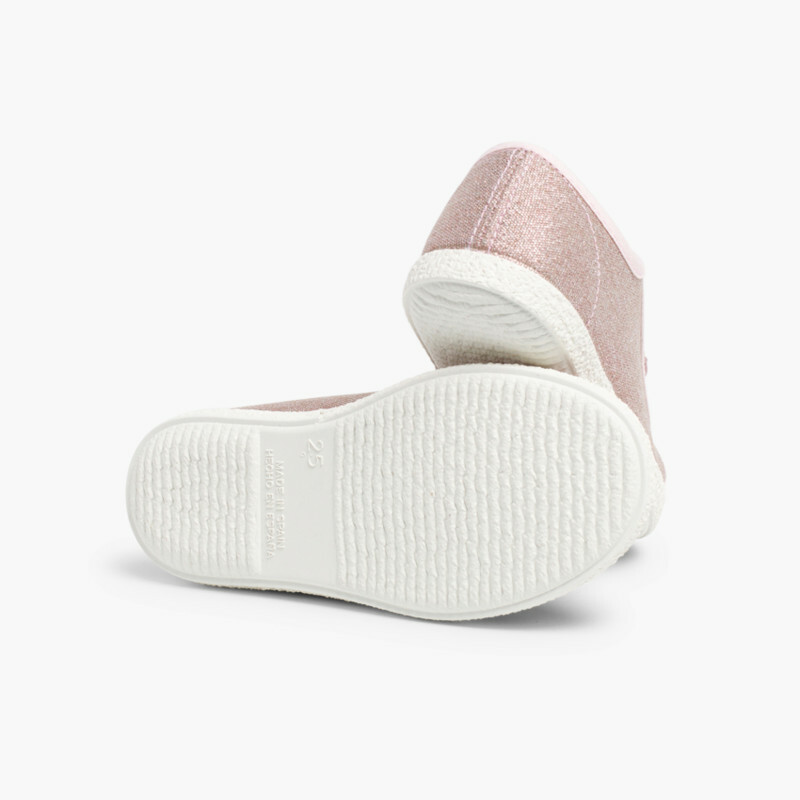 Perfect with shorts or trousers in the spring summer season, your daughter’s wardrobe won’t be complete without these shoes.